This Mini Horizon-D knife has a textured titanium frame lock handle. It comes equipped with a Damasteel blade. The Reate Knives Mini Horizon-D is a more pocket-friendly version of the original design. 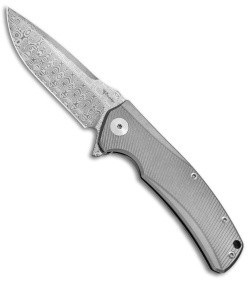 Its 3D machined, lanyard cut 6Al4V titanium handle sports custom hardware and a notched Ti backspacer. Set on a multi-row ball-bearing pivot, the blade whips open with quick and satisfying action. 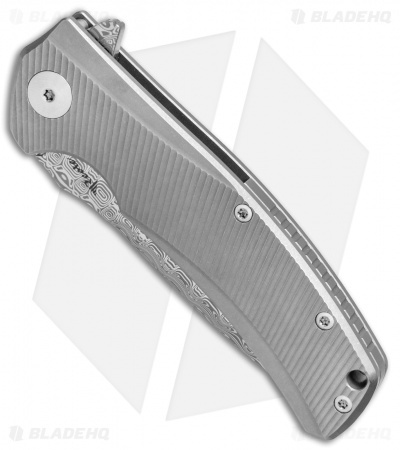 This compact EDC folder is a gem with the build quality to back it up. 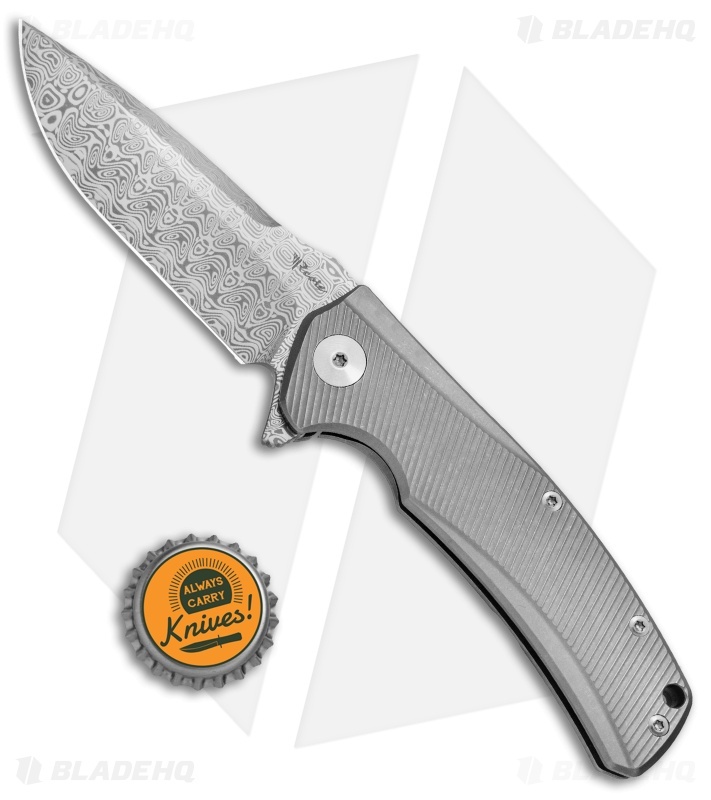 Damasteel blade executes heavy-duty cutting chores in style. 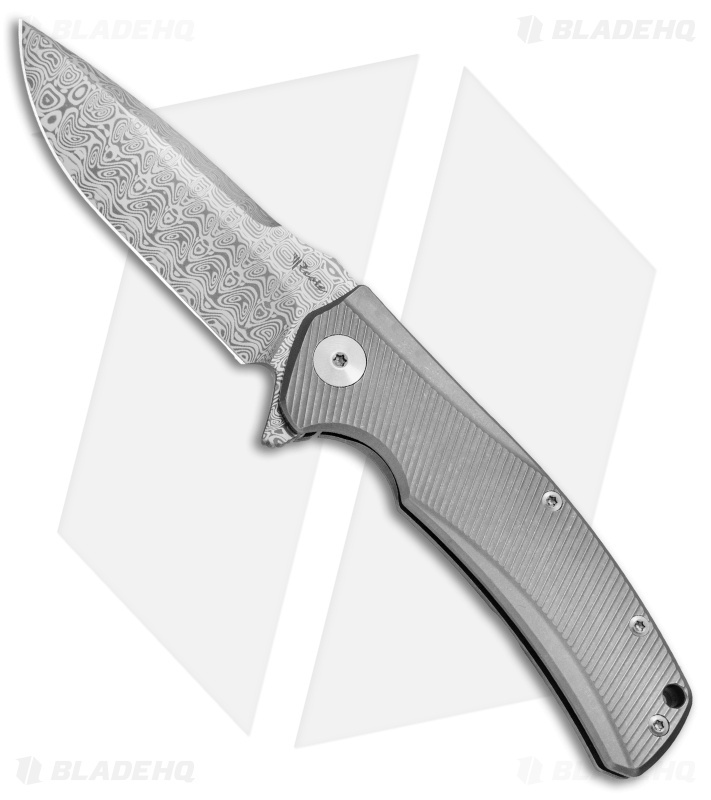 Titanium handle construction provides a lightweight, durable build. 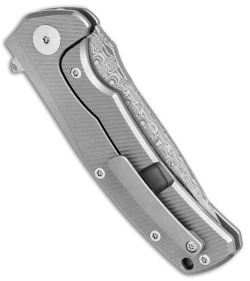 Milled titanium pocket clip allows secure tip-up everyday carry.